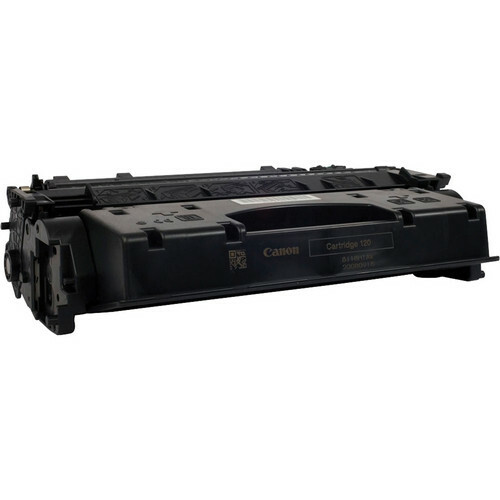 Box Dimensions (LxWxH) 13.35 x 8.75 x 4.45"
120 Black Toner Cartridge is rated 4.7 out of 5 by 3. Rated 4 out of 5 by Anonymous from Works Well Does exactly what you need it for. Only thing is that it's a bit pricey, but for the amount of time it lasts, it's worth it. Rated 5 out of 5 by Wendy from Perfect product! Arrived exactly as pictured. No problems and a great product for the price! Rated 5 out of 5 by Checkmate from High yield & sharp copies OEM replacement is the best & B&H price & service to match!